The following information is provided to advise students of the steps that must be taken to establish and maintain California residency. This information is taken directly from T5 CCR 54000-54045. Read this information before completing the Residency Form. The form and documentation are due prior to the first day of the term. No additional documentation will be accepted after this date for current term residency consideration. Residency forms and documentation received after this date will be considered for a future term. RESIDENCE: That location with which a person is considered to have the most settled and permanent connection; it is also that place where that person intends to remain, and during absences intends to return. Residence results from the union of physical presence with objective evidence that the intent is to remain at that place for an indefinite period of time. BURDEN OF PROOF: The burden of proof lies with the STUDENT to demonstrate clearly both physical presence in California and intent to establish a California residence. Physical Presence: A person capable of establishing residence in California must be physically present in California for one year and one day prior to the residence determination date (1st day of the term) to be classified as a resident for that term. Intent: The law and regulations require both physical presence and the intent of the student to make a home in California. Physical presence in the state solely for educational purposes does not constitute the establishment of California for residence regardless of the length of presence. License from California for professional practice. Possession of a California driver’s license. The petitioner for a divorce in California. Maintaining a permanent military address of home of record as California. Continuous presence in California except for absences, which can be explained without conflicting with establishment of residence. Financial Independence: A student who is classified as a non-resident, but has established financial independence, may be classified as a resident if the student has met the requirements of CCR 54020 for one year prior to the residence determination date. In order to change from non-resident to resident, a student must provide appropriate documentation that his/her circumstances have changed. 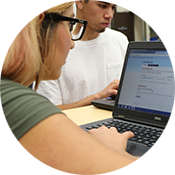 Financial Dependence: If the student is under 24 years of age and financially supported by a parent or Legal Court Appointed Guardian, the student will provide the parents’ CA tax return with the student listed as a dependent. Military and Dependents: Students who are active duty members of the Armed Forces of the United States are classified as residents while stationed in California. Military dependents are entitled to resident classification until they have resided in California the minimum time to become a resident (one year & one day). After the minimum time period, the student must show his/her intent to become a resident is clearly established. Residence Determination: The College shall notify each student of his/her residence reclassification determination no later than 14 days after receipt of the Residence Reclassification Request Form. Deadline to submit the Residence Reclassification Form each semester is prior to the first day of the term. Non-Citizens: Aliens precluded by the Immigration and Nationality Act from establishing residence, no matter the length of stay in California, are those with C, D, F, H2, H3, J, O2, P, Q, S, TC, TN, TD, TWOV and WT visas. Undocumented aliens and out of status aliens may not establish residence. Aliens eligible to establish residence include those with A, E, G, H1, H4, I, K, L1, L2, N, S, T1MT2, T3, T4, U, V, O1, O3, and R visas. Permanent residents (green card), those granted amnesty or refugee status, those in temporary protected status, and those in the family unity program may be permitted to establish residence. Check at the Admissions Office for requirements. 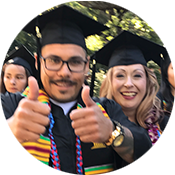 If you have any questions concerning your residence status please contact us at (408) 848-4736 or email admissions@gavilan.edu. If you are unsure of your status or feel that you have been classified as a nonresident, you may bring your passport, visa and/or related paperwork to the Admissions Office for review.